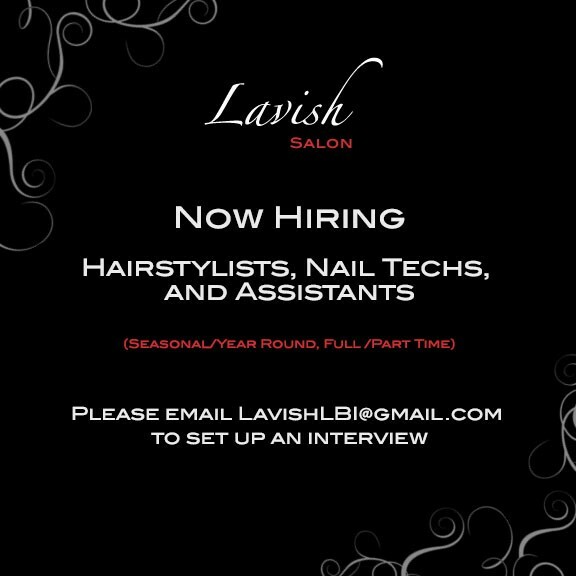 Lavish offers a full suite of professional services, including styling, color, nails, and other extras. Getting married? Congratulations! Let Lavish treat you and your bridal party to a memorable experience that will enhance your big day. Clients are thrilled with their Lavish experiences. See what they have to say and experience it yourself. Open year round. Call to schedule an appointment 609-492-9955.